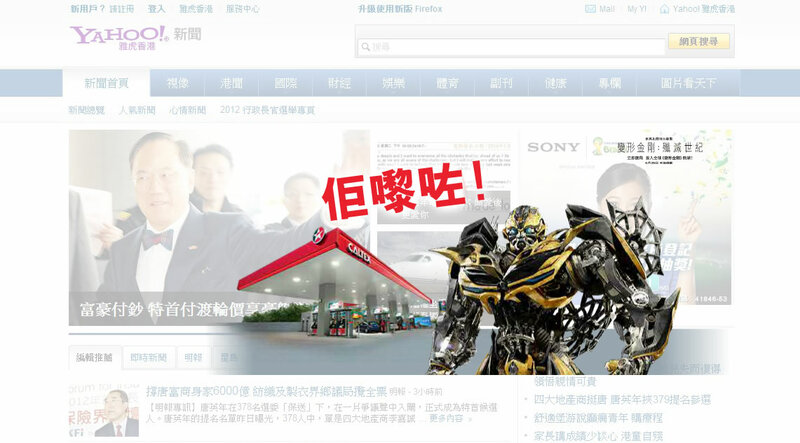 Caltex introduced the 'Transformer' promotion again in 2014. This time we made crazy ad on Yahoo! 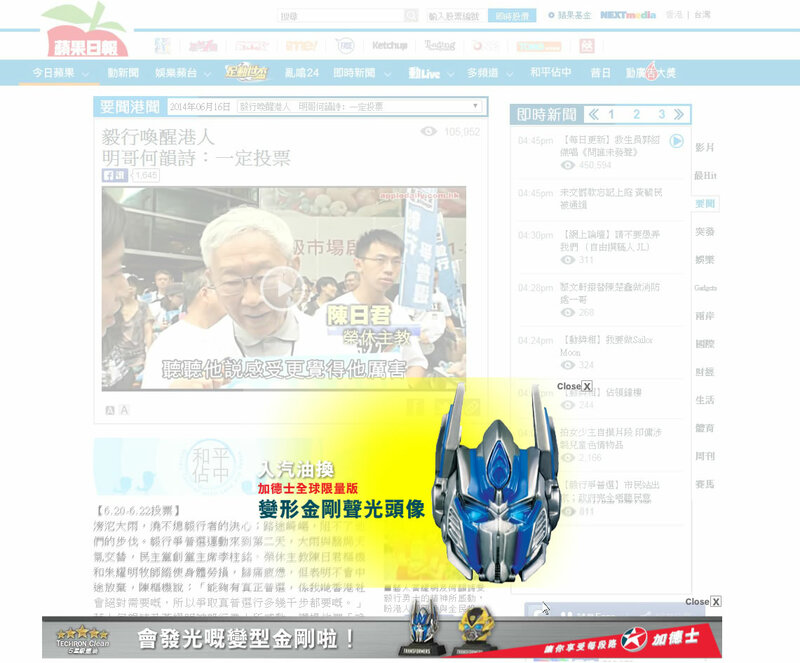 and Apple Daily Baseboard with Optimus Prime coming out to catch the attention of audience. An LREC was also created as another ad format.